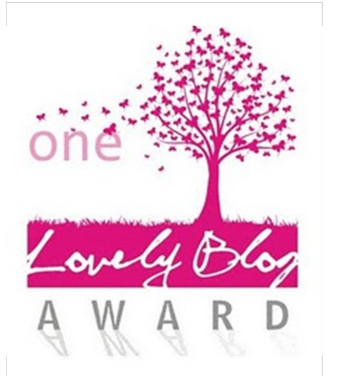 On Sunday I woke to find that I had been nominated for the One Lovely Blog Award by Jill who writes Thoughts Revisted. As with any rewards there are rules and there are certain requirements that must be fulfilled. Like Jill I think 15 bloggers is too many so I will also nominate seven people. I like the number seven: it’s a magical number and it’s the number of cards I read when I do a tarot reading. I love animals. Just being around them turns me into a happy child-like person. I loooove dance music. There’s something about it that fills me with energy. I’ve always believed that the right music can fill you with energy. I LOVE LOVE LOVE reading. I used to visit the local library as a child and take out about 15 books at a time, and within the week I’d be returning them ready to read more. It got to the point that by the time I was around 12/13 I had read all the interesting teen books and moved on to adult books. Reading to me is literally like eating. Words fill my soul and transport me to another world. If a book has been particularly good I feel like I’ve left a dream world when I’ve finished the book. I eat a lot of fruit and veg. Like, a lot. I can’t get enough of the stuff. I can’t eat anything unhealthy and if I do my body protests right away! I day dream a bit too much. I wrote my university dissertation on the Marquis de Sade and the use of pain and pleasure in eighteenth-century pornographic literature. I loved it. No-one else was writing about anything slightly similar so my topic was different. The looks of shock I’d get from people when I told them my dissertation topic was priceless! The first album I bought was The Eminem Show by Eminem. Definitely his best album! Below are a list of my nominations! Give their blogs a read and I hope you love them as much as I do! Thanks for the above bloggers for providing insightful words, and of course Jill for the nomination! And congratulations on being nominated! Thank you Charlotte. I really appreciate knowing you read my blog and I am so happy to know you enjoy it.